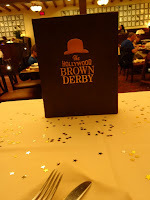 If you want a taste of old Hollywood while at Disney world be sure to reserve a table at The Hollywood Brown Derby at Hollywood Studios on your trip. We have had the pleasure of dining with them twice and it has now become a staple of our Disney vacations. 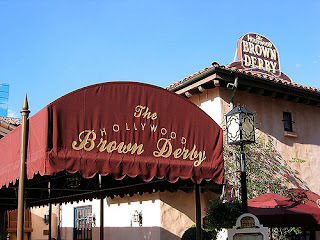 The Hollywood Brown Derby is a replica of well, the Hollywood Brown Derby in Hollywood California. 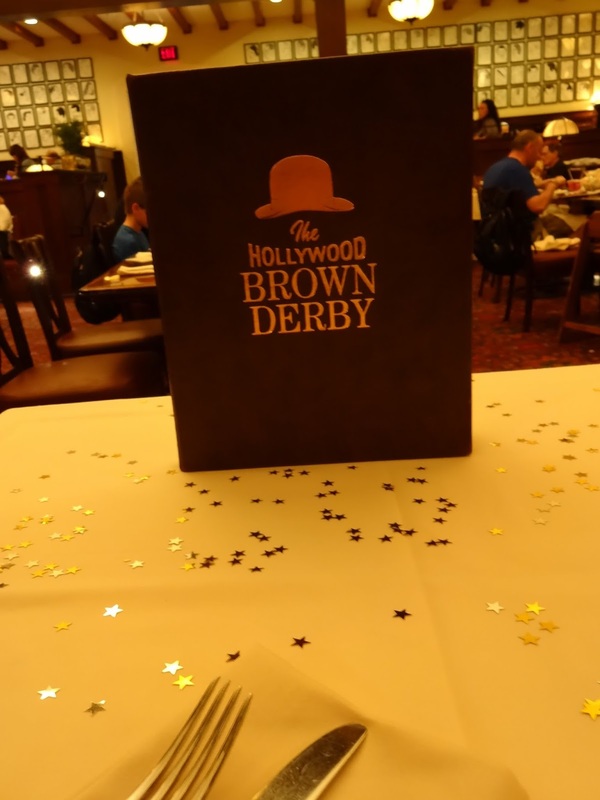 This restaurant is a perfect place to dine when at Hollywood Studios since this park combines the glitz and glamour of old Hollywood with the sleek and flair of current Hollywood. 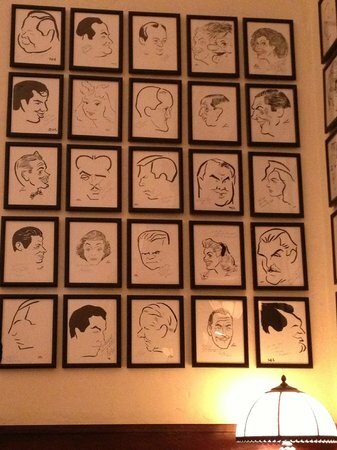 The interior is filled with browns, golds, shades of white and the restaurant has wall after wall of these caricatures of the Hollywood greats of yesteryear. Once seated we were greeted with this beautiful display of gold glittery stars and complimentary champagne, it was our 1st trip to Disney together and our one year wedding anniversary which I had added to our reservations in hopes of a little “pixie dust” and once again Disney did not disappoint! Do you see the Mickey? This trip we tried the Andouille crusted shrimp and grits as a started and the filet with red wine reduction compound butter for our main course. They were the best dishes I have had on Disney property. 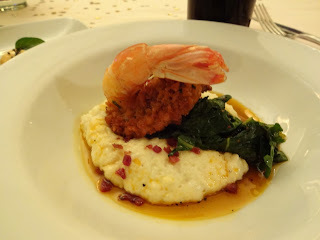 The shrimp was perfectly cooked and the grits were creamy and rich. The steak just melted in your mouth and the presentations were beautiful. The menus at Disney are always changing and evolving at Disney and they are always adding new amazing things to try. 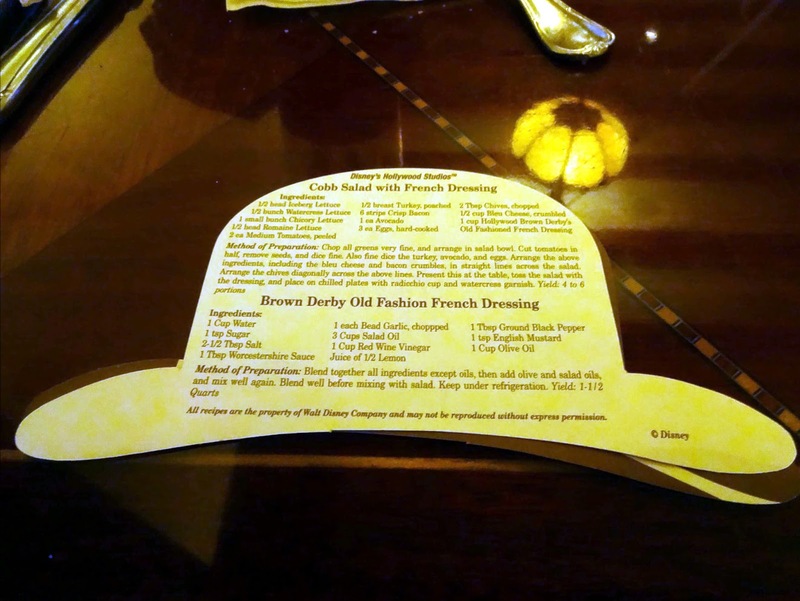 That being said I must say if these were a constant on the menu I may never pick anything else these were so good! 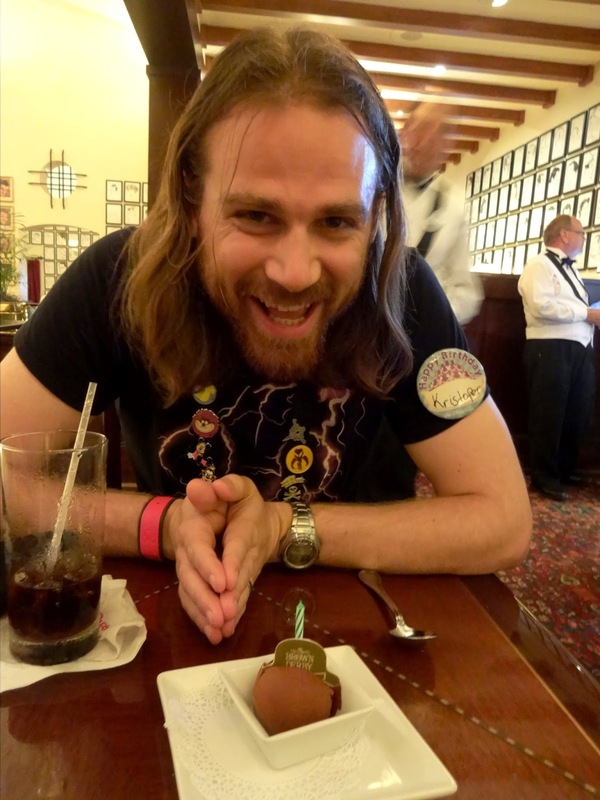 Having the Happiest 1st Anniversary at the Happiest Place on Earth! The Hollywood Brown Derby is classified as a Signature Dining restaurant which means it is a one of a kind, high end dining experience. 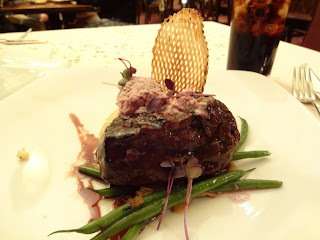 The cost ranges from $$($15 to $34.99 per adult) for lunch-$$$($35 to $59.99 per adult) for dinner. 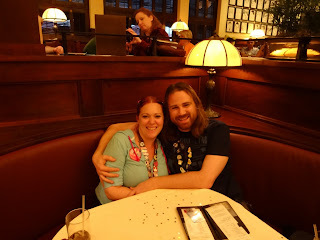 If you are on the Disney Dining plan or the Deluxe Dining plan this restaurant is worth 2 credits. 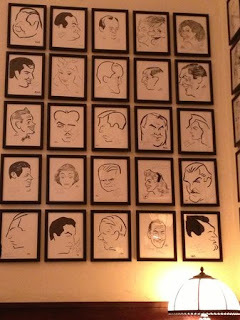 Reservations are recommended to be made at least 180 days in advance. 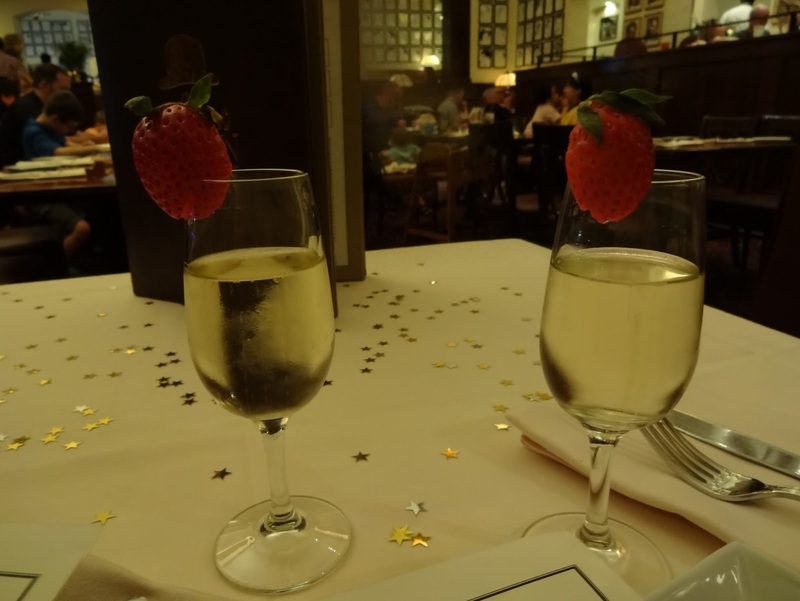 I highly recommend you have your travel planner mention any special even you are celebrating when they reserve your table. 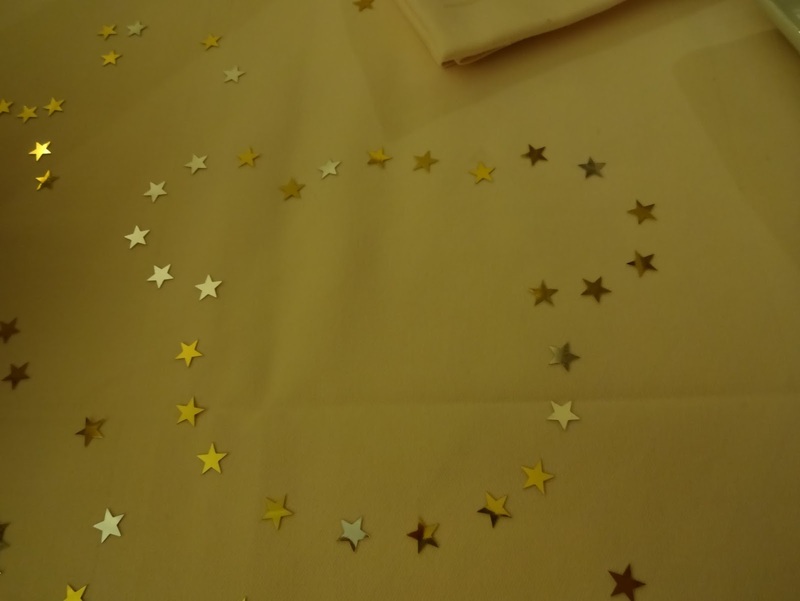 You never know what kind of magic awaits you! 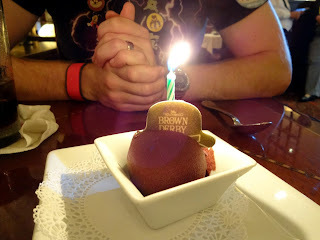 Hubby being surprised with special Birthday dessert on our last trip! The Hollywood Brown Derby is famous for their Cobb Salad and if you ask they will provide you with the recipe on these super cute little brown derby hats. 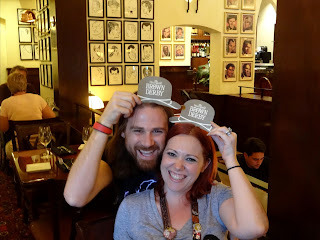 They make a great FREE souvenir as well as the perfect prop for your photo ops! 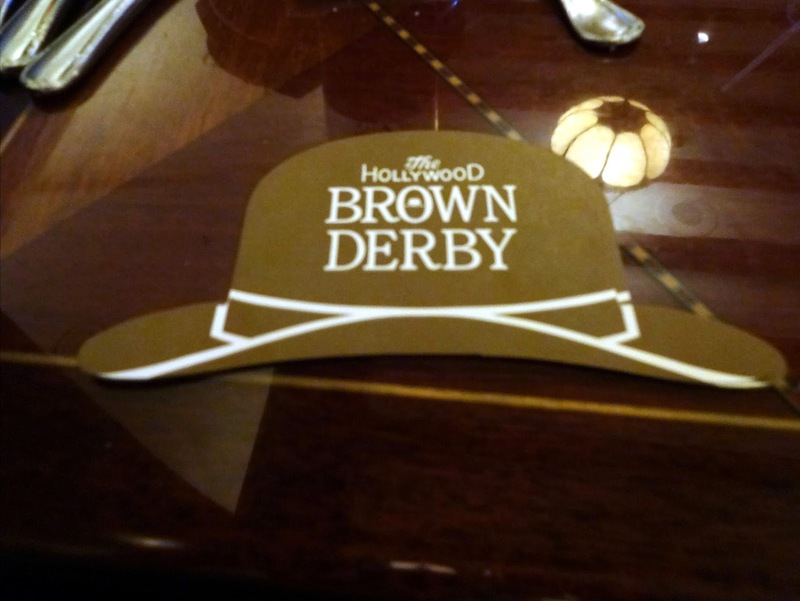 Excited to try Disney’s The Hollywood Brown Derby?! Contact one of the Travel Time Travel Planners today to start booking your dream vacation.